When the weather is cold I like to remind folks about the dangers of carbon monoxide (CO) gas. Carbon monoxide gas is invisible, odorless, and deadly! It is produced by the partial combustion of solid, liquid and gaseous fuels. This includes gasoline, propane, natural gas, oil, wood, & coal. It is extremely serious when combustion by-products are not vented outside, or when you are exposed to any source of CO gas. Carbon Monoxide is the number one cause of poisoning deaths each year in the United States. Carbon monoxide poisoning is toxic and can be deadly to both humans and animals. CO poisoning occurs when carbon monoxide gas is inhaled. The severity of the CO poisoning depends on the level of CO gas you are exposed to, and the duration of the exposure. The good news is the threat of CO poisoning can be lessened through awareness and education. Let’s take a look at what we can do to prevent the danger of carbon monoxide poisoning. 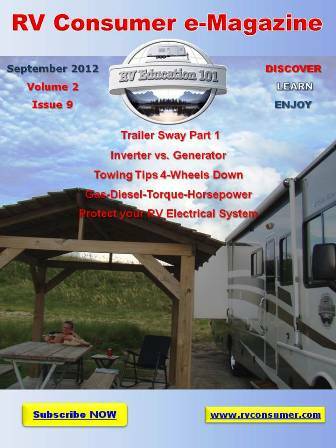 Exhaust leaks from a vehicle engine or a generator. It wasn’t until January 1, 2005 that every new RV was required to have a CO detector installed. That means there are literally millions of older RVs out there with no CO detectors. If your RV doesn’t have a carbon monoxide detector you need to purchase a battery operated carbon monoxide detector designed for use in RVs. Test the carbon monoxide detector every time you use the RV, and on battery operated models replace the carbon monoxide detector batteries when you change clocks for daylight savings time. Follow all directions and safety cautions and warnings when operating portable gas powered heaters. If somebody in close proximity to you is running a generator ask them to turn it off. They might be upset with your request, but it can save lives. Note: It’s also important to know that carbon monoxide detectors need to be replaced every five years. Carbon monoxide symptoms are similar to flu symptoms, but without the fever. 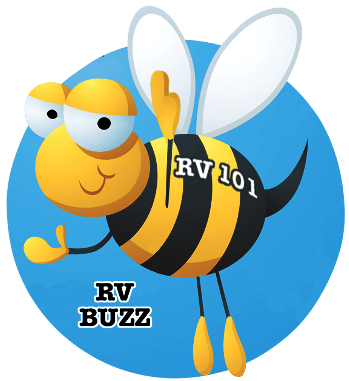 Teach everybody that will be in the RV how to recognize carbon monoxide symptoms. Account for everybody that is with you. Do not re-enter the RV. The more you understand CO poisoning and what steps you can take to prevent it the safer your RV trips will be. Have a safe and fun fall and winter camping season.